Apologies for having a quiet summer on our blog. We haven’t even been reading other people’s blogs, since Google Reader shut down. Does anyone have recommendations for another browser-based RSS reader? 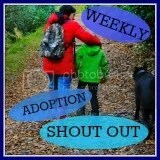 It is October, which means our adoption journey picks up pace. We attend preparation group this month, at Suburban Agency. Soon after, we will put in our official application to Rural Adoption Agency. We will be appointed a social worker and then complete home study. A few panels, a lot of reading, and one match later — and we will be parents. We have been entertaining the idea of Hand-stitched Dad taking the adoption leave, so all three of us can be home for the most amount of time with our new family member. I have heard that some social workers are particular about releasing a child into the care of a man. That is a diplomatic way of saying that some social workers make matching decisions based on our gender (or maybe gonad assignation?) rather than exploring what “gender” and “familiarity” really means to their traumatised child. There are of course very good reasons why some children are placed with Male or Female parents, but I hope there are even better reasons why they are matched with those parents, that have nothing to do with Male or Female parts at all. I cannot speak for individual social workers or individual children awaiting adoptive placements, but I can speak for my lovely husband. Hand-stitched Dad is a gentle man with a boyish face, who rarely has anything but kind things to say. He is tall and slender, with a charming multi-coloured beard. Whenever I see him, I relax. Whenever he looks at me, I smile. If I feel childlike and stroppy, he returns my childlike banter in equal force. If I feel serious and philosophical, he listens quietly. When things became very stressful — the peak of our grieving — we separated for a brief two weeks. It was horrible. But at the end of the two weeks, I knew exactly why I married this man. We are not perfect. We make mistakes every day. We have had life experiences that have disabled us and left us lonely and afraid. We do not have everything we want, such as a spacious, clean home. But we do have a few quite remarkable things, such as deep respect for each other and a willingness to grow together no matter what the outcome. I now have a name for the values that keep us together: Acceptance and Resilience. Hand-stitched Dad is steadfast. He embodies all the best qualities of a parent, and, yes, most of those qualities are also considered archetypical female: gentleness, sensitivity, compassion, tolerance, deference. I look forward to seeing our prospective adopters report. How will it capture the ambiguity of gender roles in our relationship? Will I be described as masculine because of the absence of typical female traits? Will people ignore Hand-stitched Dad’s strengths because he is male? How will the biases of our social worker play out in our assessment? It may not ultimately work out financially, but I would love to see Hand-stitched Dad grow into the role previously known as Mother. I know that I would be proud to be a Father. I’m not sure it matters what we hide in our underpants.